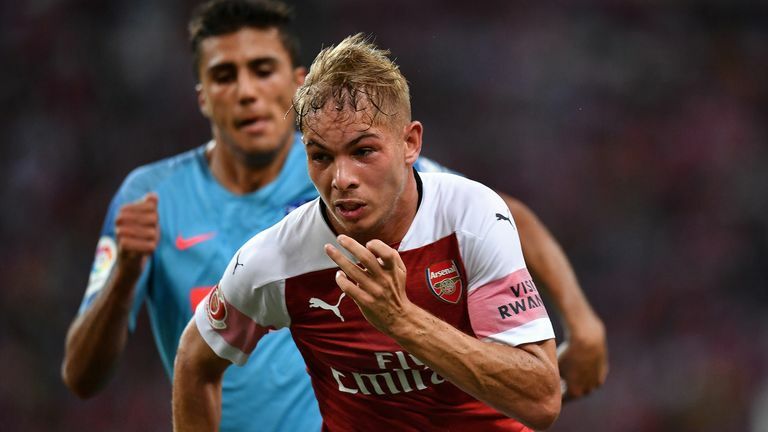 Arsenal's 17-year-old midfielder Emile Smith Rowe scored a fine goal as the Gunners were beaten 3-1 on penalties by Atletico Madrid following a 1-1 draw in Singapore in the ICC. 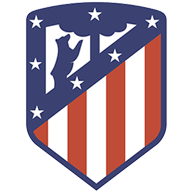 Against the run of play, Atletico took the lead with their first shot on target as Luciano Vietto directed a fine header into the far corner on 41 minutes. But Arsenal levelled through Smith Rowe two minutes after the break, skipping past two Atletico players before finding the top corner with a beauty from 20 yards. The game went straight to penalties after 90 minutes, with Arsenal missing three of their four as substitute goalkeeper Antonio Adan saved from Henrikh Mkhitaryan, Joe Willock and Edward Nketiah. Unai Emery named a strong XI for their opening ICC game; Pierre-Emerick Aubameyang, Alexandre Lacazette and Aaron Ramsey started, and there were also starts for new signing Matteo Guendouzi and 17-year-old Emile Smith Rowe. Arsenal looked bright going forward in the first half, forcing two saves out of Jan Oblak as Alexandre Lacazette broke free inside the area on both occasions. Angel Correa fluffed a chance from 15 yards during a rare Atletico attack, but they got their goal four minutes before half-time as Correa got the better of Rob Holding on the right flank, crossing for Vietto to steer a superb header past Bernd Leno. Arsenal were quick out of the blocks in the second half as Smith Rowe equalised, showing confidence and skill to dodge two tackles and curl home just two days before his 18th birthday. 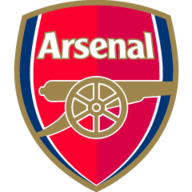 Arsenal made eight changes with half an hour remaining, with Nketiah and Jordi Osei-Tutu impressing in spurts, but the game when to penalties. Emery's Arsenal: What did we learn? Adan was the hero for Atletico, saving three spot kicks and scoring the winner from 12 yards, while Arsenal's sub goalkeeper Petr Cech himself saved from Rodri. Arsenal now face PSG in Singapore on Saturday at 12.35pm, before pre-season games against Chelsea (August 1) and Sevilla (August 4).